Are you preparing to take the ISA Certified Arborist® exam or another ISA credential exam? Are you looking for CEU opportunities? We have an entire library of online quizzes available to help you study for an exam or work on your CEU requirements to maintain your credential. ISA will make one article from each issue of Arborist News available as an online CEU quiz. 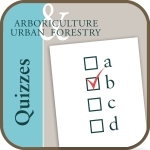 FREE TO MEMBERS: Arborist News and Arboriculture & Urban Forestry quizzes less than one year old are available for free to ISA members. CEU quizzes for older articles from both publications may be purchased by members or non-members. If you are ISA Certified and successfully pass a quiz with a score of 80% or better, CEUs will be posted to your account within 48 hours. These collections of CEU articles are designed to advance your arboricultural education, whether you are reviewing a specific topic or simply wishing to improve your general knowledge of arboriculture. Compilations of previously-published CEU articles are sorted into 10 major categories. Purchase each of the 10 categories separately, or save money by ordering the set. Purchasing this online product gives you access to an electronic, printable version of each article, as well as an online CEU quiz. The articles and CEU quizzes can be viewed on your computer or mobile device.